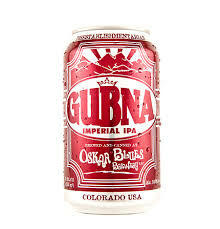 Coming to Shelves: 2 New Beers from Boulevard, Gubna,, Sierra Nevada Barrel-Aged? The Calling, which will be available on draft and in four packs of twelve ounce bottles, is the result of several months of hard (delicious) work by our brewing team who sought to create an IPA with a juicy, tropical fruit aroma that leaps from the glass. A simple malt base composed solely of our two row base malt serves as a platform for giant, punchy hop flavor and aroma provided by a blend of Simcoe, Bravo, Topaz, Cascade, Mosaic, Equinox, Galaxy, and Amarillo hops. Read that sentence again. We are not messing around here, folks. The Calling also receives an addition of lemon peel during the last five minutes of the boil to add an extra citrusy punch. 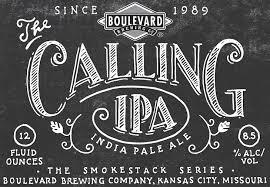 At 8.5 ABV and 75 IBU, The Calling is the IPA we knew we had to brew. As of this minute, our goal is to get The Calling out to you on draft in early to mid-February with bottles to follow soon. 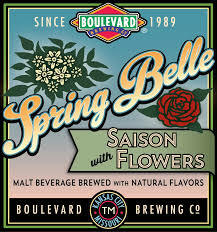 At 6.2 ABV and 35 IBUs, Spring Belle is composed of a fairly traditional saison malt bill of our two-row base pale malt and a touch of malted wheat. Magnum and Simcoe hops are utilized for bittering while late hopping with Calypso and Lemondrop lends bright, pear/citrus notes to the beer. During whirlpooling, the time when beer rests briefly after boiling before being cooled and transferred to the fermentation cellar, our brewers infused the wort with just over 70 pounds of a blend of rose petals, chamomile and elderflower. Infusing these flowers while the wort is still hot, but not boiling mimics the extraction you would see when brewing tea that incorporates these flowers. We find that this method lends subtle floral aromas and flavors that play nicely with the spicy phenolic notes contributed by fermentation with our house Belgian yeast strain. 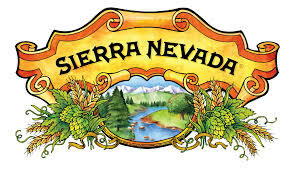 *Sierra Nevada is releasing two new barrel-aged beers and according to mybeerbuzz.blogspot.com they will both be Bock style beers with one being aged in bourbon barrels and the other aged in whisky barrels. No word on whether or not these will be bottled or just keg release, or even if Iowa will see them at all. I’ll keep you posted on this. Emphasizing that complexity of character can arise from simple elements, this ale is made with three malts and one hop. Its light amber color and slightly spicy malt character are derived from the use of German Dark Munich Malt and Rye Malt respectively. North American 2-row barley combines with the other grains to lay the foundation for the hop onslaught to come. Summit hops are used exclusively in the boil for bitterness, flavor and aroma but it doesn’t end there. Post-fermentation dry hopping allows the 10% ABV monstrosity to gently coax the citrus rind and grapefruit aroma to join the 100 IBUs already present. This beer should greet you with a pungent citrus blast, provide a spicy yet round middle and finish with a brisk, clean bitterness. Columbus in early and mid kettle. Brunch with Surly @Blackstone Restaurant slated for March 8th!